Model: tbt - Sheridan for Christmas! Description: Every year that footpunkz has been around, Sheridan has given an awesome Christmas set to us. This year, with her being so busy, we haven't been as close and able to come up with new content. We all miss her, but we will always have all the amazing content (over 50 sets!) that she gave us over the years. Nothing new just yet, but you never know what new Sheridan content may turn up. ;) In the meantime..enjoy these throwback sets! Description: Its been a while since I've had the pleasure of bringing you a new model, and I know you won't be disappointed. The minute I met VivaRose, I knew that I had to have her on footpunkz, and you'll be able to see why. Check out this set of her shoving her feet right in your face. She has an amazing toespread and they are even more heavenly when she scrunches up her soles...this is the first time this beauty has modeled her feet for anyone, and she did it all for us. Enjoy! Description: Here'a a classic set of Bunny and Alania Bunny starts out by slowly peeling off Alania's socks (she has 2 layers on) and once she's barefoot, she starts sniffing on her feet. 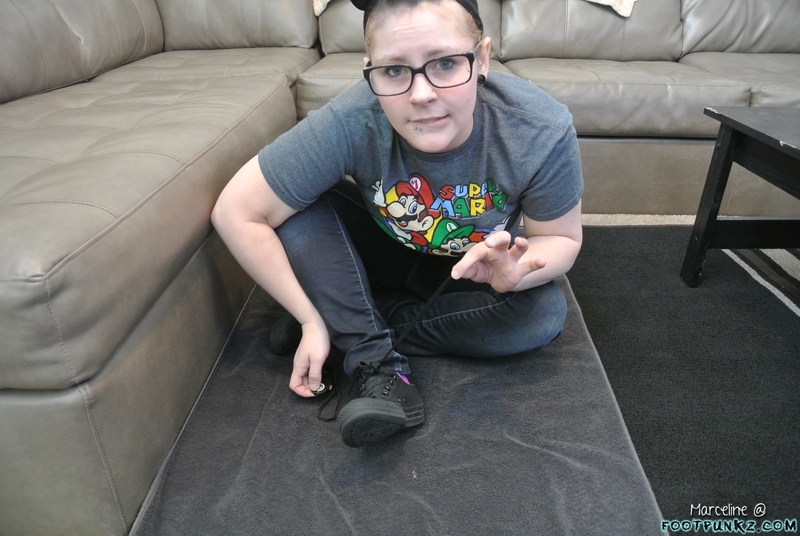 *BONUS* I added another 53 pictures that I found of this set from a different angle, as well as the small set afterwards of Alania removing Bunny's shoes and licking an sucking on her toes! Even though this is a TBT post, you get new content, so don't miss it! Description: It's been a while since I brought you a Submission, but this one will be worth it. Check out Mika Hime while she shows off her brightly painted perfect little toes. Not only are her toes perfect, but wait till you get a look at her soles when she shoves them right in your face. Couldn't ask much more from a submission than this. Enjoy! Description: One of our first footpunkz to ever grace the net, and still top tier. She doesn't do any modeling anymore, but we still love her! Enjoy. Description: Gotta love 2 of our classic footpunkz showing off their feet, and Alania doing what she does best, shoving feet in her mouth. Enjoy! Description: This girl will always be one of my favorites. We still talk a bunch, but she's just got too much going on in life right now to model. Maybe we'll get lucky in the future, but man, did she provide us with some lovely sets or what? I'll never get enough of Jade! Description: One of my most requested models is always Bunny, and even though I haven't gotten the chance to talk to her in the past year or so, I'll always have hope that she'll move back to where I live someday! Until then..we have precious memories of her perfect feet right here. Enjoy! Model: The return of Skye!! Description: One of our all-time favorite footpunkz and one of my favorite sets! You can't go wrong with Sheridan. Enjoy! Description: I had the pleasure of doing a few sets with Chloe before she unfortunately had to move away. I have a few sets saved up that I will be showing you guys though, and she is lovely...so make sure you check it out! In this set, she starts out in shoes and socks, and slowly takes them off to reveal her skinny little yummy feet. Check it! Model: Throwback Thursday - 4 Models! Description: Here's a throwback to a very fun set with Bubbles, November, Alania, and Jade. Even though a few of these gals don't pose for us anymore, I keep in contact with them and when they pop up to say hello, it always makes me want to share them and their gorgeous feet with the world all over again. haha.. Enjoy! Description: The lovely Sheridan is showing off her feet for you guys again, and this time..its straight out of her gym shoes. Sweaty, soft, and heavenly. What is there to say about Sheridan that I haven't already said? 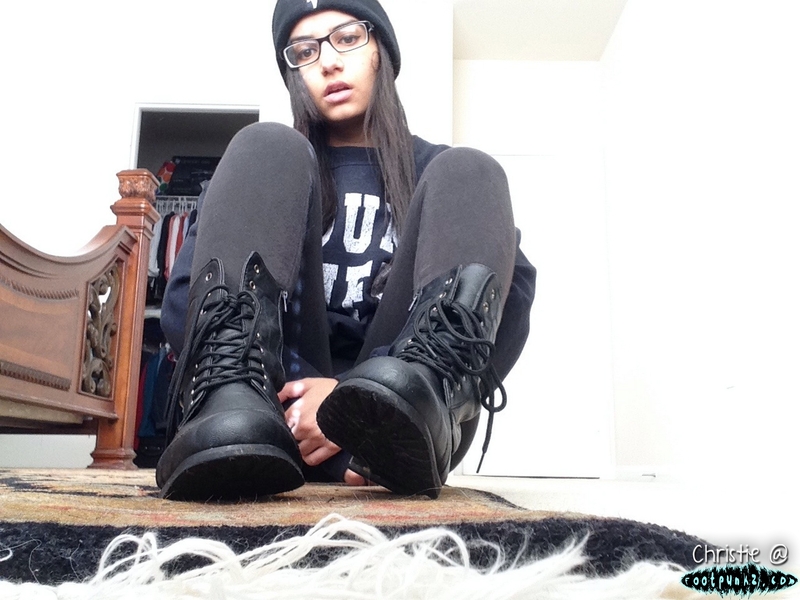 This girl is perfect. Check out the set, and you'll see why! Description: We go through so many sets on this site that sometimes some of our favorites get lost in the past, so I want to keep bringing them back when I can! Here's 2 of my favorite models ever, Jade and Bunny, showing off their feet and playing with a rubix cube. Heavenly..I hope I get to film these girls some more soon! Model: Throwback Thurs - Bubbles,Jade,Rosie! Description: I was hunting through my old hard drive and remembered this lovely set that was posted last year. Sometimes I forget all about these, so throwback thursdays are perfect! 3 of the best foot models ever..all in the same spot..stripping off their shoes and socks and showing you their perfect soles. Huge 99 picture set! Enjoy! Description: Bringing one of my favorite sets from one of my favorite models ever back out to show off. Seriously probably my favorite soles on the planet. She starts out in shoes and socks, and then curls and spreads her perfect toes for us. We miss you Skye! Description: Its been a while(too long! ), but thankfully Nona is once again in good health and ready to show off those cute little size 4 feet again. This time she starts off with pink socks and slowly slips them off to reveal her black pedicure. Once she's barefoot, she gives you a nice sole show, scrunching her soles and spreading her toes..and you get a good view of her perfect body. This one's especially hot...don't miss it!